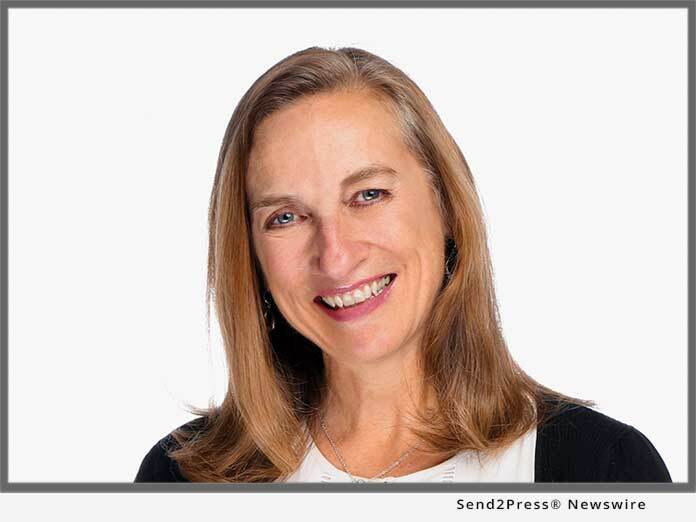 SAN DIEGO, Calif., Oct. 3, 2017 (SEND2PRESS NEWSWIRE) — ECHO Connection, a non-profit charitable organization dedicated to educating the world, hosting collaborative platforms, and providing hope for those in need of cannabinoid-based therapies, announced today that it has appointed Andrea Barnes as its new CEO and President. ECHO Connection also announced that Barnes will be speaking about the charity’s work in guiding families seeking the therapeutic effects of cannabinoids by connecting them with resources that can help at the 4th Annual Cannabis World Congress & Business Exposition (CWCBE) in Boston, Massachusetts on Thursday, October 5 at 10 a.m.
Barnes brings more than 30 years of experience leading local, national and international causes to her new role as ECHO Connection’s CEO and President. Currently, Barnes also serves as CEO of the corporate philanthropy, fundraising and education consulting company The Giving Principles. “I am excited to be taking on this new leadership role at ECHO Connection to help the organization deliver on its mission of changing lives with cannabinoid therapies,” Barnes said. “My personal mission is to create unprecedented support for good in the world. Barnes will be speaking on the “Patient and Caregiver” panel at the CWCBE at 10 a.m. on Thursday, October 5 at the John Hynes Convention Center in Boston about how ECHO Connection is providing support for special case families that count on cannabinoids. Barnes has also served as the Executive Director of the MORE Project, Senior Vice President for Globus Relief, Director of Development for the Waterford School, and General Manager of the Gina Bachauer International Piano Foundation. She holds a bachelor’s and master of fine arts degree from the University of Utah. EDUCATION – Learn about the medical benefits of cannabinoids. COLLABORATION – Join a growing cannabinoid community. HOPE – Provide relief to families suffering from serious medical conditions. ECHO Connection is a 501(c)(3) nonprofit charitable organization dedicated to supplying cannabinoid-based education, open-ended collaboration between doctors and patients, and hope to families facing serious medical conditions. *PHOTO Caption: ECHO Connection CEO and President Andrea Barnes. "I am excited to be taking on this new leadership role at ECHO Connection to help the organization deliver on its mission of changing lives with cannabinoid therapies," Barnes said. "My personal mission is to create unprecedented support for good in the world. ECHO Connection Foundation (ECHO) helps guide those who are desperate for the therapeutic effects of CBD and cannabinoids through a comprehensive approach consisting of Education, Collaboration, and Hope. Recognizing that there is strength in numbers, ECHO aims to offer a one-stop shop where those pursuing cannabinoids can seek knowledge and support in a trustworthy and safe environment and connect with doctors that can help. ECHO Connection is a 501(c)(3) non-profit organization.